More and more people in emerging and developing nations are gaining access to the internet and it is creating a positive influence in education, personal relations and the economy, says a 2015 research conducted by Pew Research Center. 64% of all respondents said that the internet had a good influence on education, 18% had a bad influence while only 8% said that it had no influence at all. The survey was conducted in 32 countries and had more than 36,000 respondents from various ages. As students are faced with numerous course requirements, ranging from persuasive topics to simple essays, the internet has served as an integral source of information. In the Canadian Internet Use Survey conducted in 2005, approximately 71% used the internet for educational purposes, with researching information for homework and other academic requirements gaining the most number of users. Other reported education-related uses of the internet included communication with school administrators, communication with instructors and peers, and submission of school requirements. As more students are choosing to take online courses, it is projected that the use of internet for education purposes will increase in the next few years. The internet is truly revolutionizing education, as more and more universities are creating online programs to cater to professionals wishing to gain more credentials without compromising work requirements. While online education has enabled students to gain a degree at their own pace, many students still find it difficult to keep up with the amount of essays and school work they are required to achieve. Thanks to the development of new internet tools, such as essay topic generator tools, students have found new ways to make essay writing so much easier. Released in 2015, the essaytopicgenerator.com was developed to assist students in developing topics for their various writing requirements. It was designed with simplicity and ease, but is comprehensive and useful. Want to develop a persuasive essay but want to have a focused topic? By simply identifying the topic keyword and choosing the subject of the persuasive essay, the Essay Topic Generator provides users with more than twenty (20) titles which can be used as starting point for developing their writing requirement. The best thing about this tool is that it creates topic titles for various types of writing requirements, from general, argumentative to controversial essays. Following the release of surveys that relate the importance of social media to education, the people behind the Essay Topic Generator tool has provided a way for its users to share the tool to their online peers. This way, students can inform their classmates of this revolutionary tool and in the process, help them complete their school requirements. 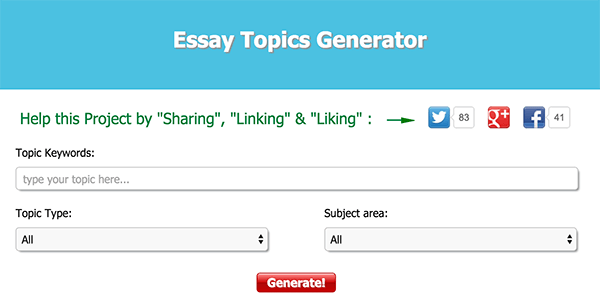 Moreover, the developers of Essay Topic Generator have user privacy at the core of its program. Hence, users do not need to register – it is freely accessible by anyone who knows the link to the tool. The rapid and constant change in internet technology is pushing education forward and it is creating both opportunities and challenges. As online universities become mainstream, one can only project the expanding role of various internet technologies and social networking tools in promoting learning and professional development. 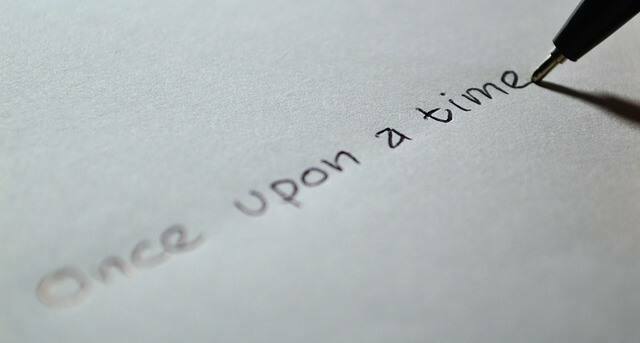 Soon, more tools like the Essay Topic Generator will be developed, but the simplicity of its current platform will ensure its long term relevance.